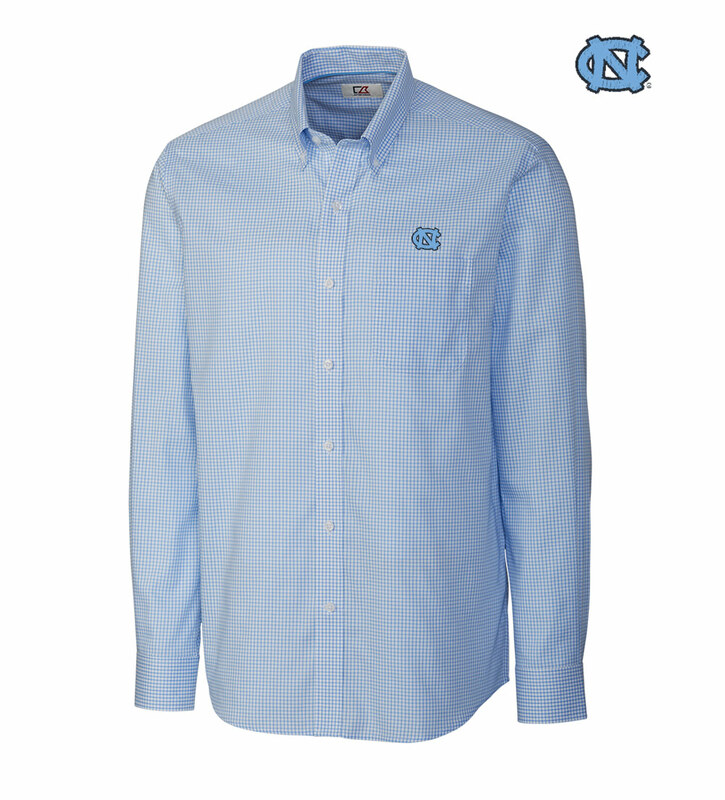 This wrinkle-resistant cotton-blend sport shirt looks so good you'll want to wear it more often than just on UNC game days. Features an officially licensed embroidered University of North Carolina logo just above the left chest pocket. It's a timeless Cutter & Buck sport shirt with a button-down collar, long sleeves with barrel cuffs, back box pleat and C&B pennant at left cuff. 60% cotton, 40% polyester. Machine wash. Imported.